Got a pet? Any pet? This HUGE Collection has you covered! From canines to felines, rodents, and more, you'll be able tos crap all of your furbabies with this fun series! This is the JOURNAL CARDS Pack. 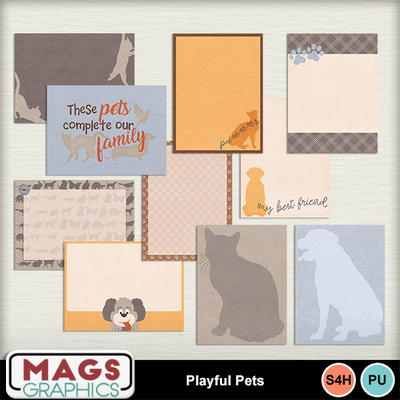 It contains 10 3"x4" Journal Cards to accent your layouts.